Transform students’ mobile devices into teaching aids – no special hardware required. 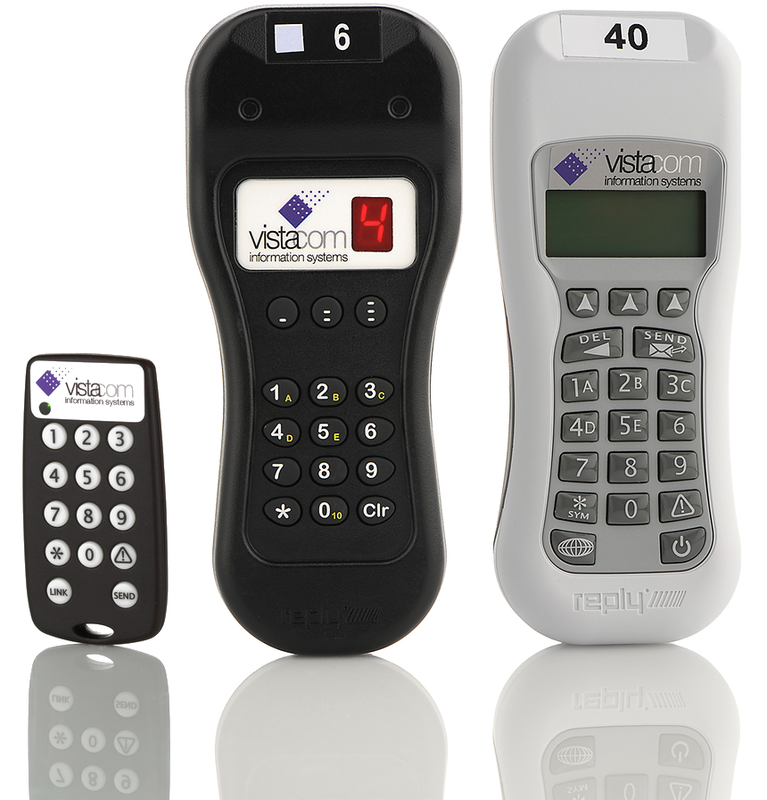 Or choose keypad clickers where Wi-Fi is weak and student mobile use is not permitted. The choice is yours with Vistacom. Identify gaps in understanding with multiple choice questions and open-ended response, anonymous polling, live on-screen word clouds, result charts — and more.